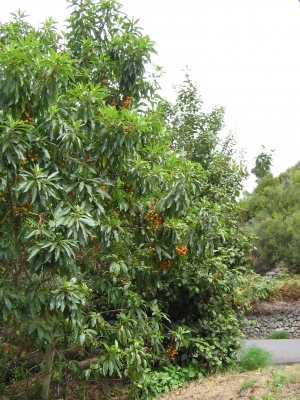 Canary Madrona is an evergreen shrub or small tree growing up to 10 metres tall. The fruit is gathered from the wild and used locally as a food. The plant is grown as an ornamental, valued for its evergreen leaves, flowers and fruits. Canary Isles - the islands of Tenerife, Gomera, Hierro and Gran Canaria.